A Roundtable Debate and Networking Event Convened by: Birkbeck Sport Business Centre, and the University of Liverpool Management School Centre for Sport Business, in collaboration with the Birkbeck Sport Business Society and University of Liverpool Football Industries MBA (FIMBA) Alumni Association. Tuesday 28th March 2019, 6pm – 8pm, followed by networking event, 8pm – 9pm. The event is open to alumni and students of Birkbeck College, University of London, and the University of Liverpool only. Attendance at the event is free but you need TO REGISTER, as a Birkbeck student or alumnus HERE, or as a University of Liverpool student or alumnus HERE. This roundtable debate, and related networking event, is organised by the alumni associations of the Birkbeck College, University of London, sport management programmes, and the alumni association of the football industries and horse-racing MBA programmes at the University of Liverpool. The reverberations from the major doping scandal at the 2014 Sochi Winter Olympics continue to impact the wider sport world five years after the event in a profound and highly negative way. The Sochi scandal was just the latest in a series of such episodes to have harmed the credibility of sport. 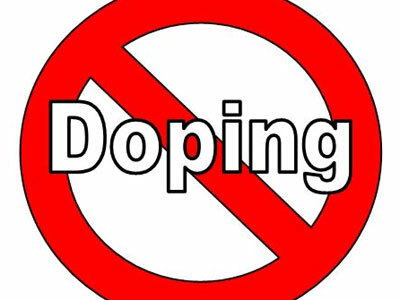 In Britain, 72 people from 13 different sports are currently serving bans imposed by UK Anti-Doping. Whilst there is a consensus that anti-doping is a battle that needs to be fought if sport competitions are to retain their integrity, the challenges in effectively implementing anti-doping strategies remain immense. Why are bans much more frequent in some sports than others, for example? Trevor has 20 years experience in the sports industry, primarily in football and cycling. He has represented management consultants, rights holders, agencies and brands. Graduating from the inaugural Football Industries MBA in 1998, he worked with Deloitte, Wembley Stadium, Octagon and Everton FC before starting his own company in 2002. Through TARGETSPORTS he has worked with major brands including T-Mobile, Castrol and HTC. He is currently retained as a consultant to Kalas Sportswear, the official clothing supplier to the Great Britain Cycling Team and is the Editor of Conquista – The Cycling Quarterly. Trevor will explain the long-term impact of the many doping scandals on the sport of cycling, notably the Lance Armstrong scandal. Tim Naylor, Director of Integrity and Regulation, British Horse-Racing Authority (BHA). Tim is responsible for managing the BHA’s integrity, disciplinary and compliance functions with oversight of licensing, monitoring and investigations as well as the presentation of matters which go before the BHA independent Judicial Panel. He is a barrister who practiced in crime, professional discipline and regulation prior to joining the BHA. He represented both athletes and governing bodies in a range of sports regulatory matters. At the BHA, he has overseen the investigation and prosecution of both human and equine Anti-Doping violations and is currently finalising a review into the Equine Anti-Doping Rules and a general re-write of the Rules of Racing. Tim will offer an insight into how the BHA addresses the challenge of combating doping in the horse-racing industry including the difficulties of enforcing strict liability provisions in equine sports. He will also discuss the problems around jockey welfare and recreational drug use. Geoff is a 2 time Olympian, Commonwealth and European medallist, past British and current Scottish record holder in the High Jump. Politically active in sport for over 25 years, Geoff has served as an NED on a number of Boards, founded and led the campaign for a players association for lottery funded athletes in 1997, which eventually became the British Athletes Commission; actively worked on behalf of the athletes to save the former British Athletics Federation from bankruptcy and served on the board of the bespoke vehicle created to receive the first round of lottery funding in the absence of a compliant NGB. There when the Copenhagen declaration was signed by sporting, IOC and Government representatives at the outset of WADA and the code, Geoff also served 3 years as an observer to the National Anti-Doping Panel. He is very tall. Geoff will explain the impact of doping scandals in sport, and make proposals for reform of the anti-doping regulatory regime, from the perspective of the athlete. Janice is a lawyer with extensive expertise in the fields of governance, assurance and integrity, and acts as a consultant and non-executive director, with a specific focus on sporting organisations and public and quasi public bodies. She is the former General Counsel at the British Equestrian Federation (BEF), where she set up the national equine anti-doping system. For eight years she was a non-executive director of UK Anti-Doping. She is a member of the Anti-Doping Committee and Hearing Panel of the International Paralympic Committee (IPC).